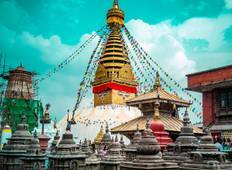 Explore a varied offer of budget sightseeing tours that will take you through some of the most renowned destinations such as Kathmandu and Chitwan National Park. Each affordable tour will provide you with memorable moments for some of the lowest prices on the market. "Omg, everything was so well organized, I couldn't even ask for anything more! SWOTAH..."
"Best tour in kashmir best service all best packages"
"Great sights wonderful guide and Driver makes long drives adventures. The things..."
"We had lovely tour with Aster Himalaya. Highly recommended." "It was nice trip organized by the approved holidays. 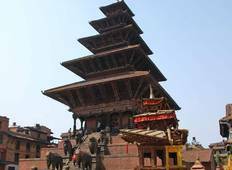 I did Kathmandu, Chitwan and..."
"A very nice tour and a great experience. I didn’t get the best guide. I think that..."
"I really enjoyed with my family in Kashmir. Thanks to justgokashmir for such amazing..."
"I'm completely satisfied with your service, all the processes are extremely simplistic..."
"We all had awesome trip to Bhutan. Thank you so much Aster and team for your all..."